Discover Chicago’s magnificent skyline while dining and enjoying entertainment on Lake Michigan! Celebrate Chicago’s birthday, with a 17.5% discount on Entertainment Cruises’ Odyssey, Spirit of Chicago and Mystic Blue Cruises departing from Chicago’s Navy Pier, our 175 Days to Love Chicago pick for Tuesday, May 22. Sax Chicago celebrates the city’s 175th birthday with a package that includes suite upgrades and Chicago favorites, our 175 Days to Love Chicago pick for Monday, May 14. 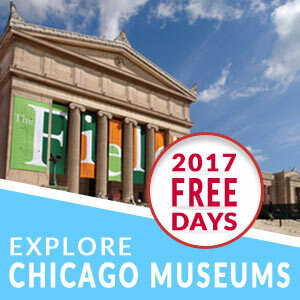 Release a baby bluegill into our vital waterway as you watch the Chicago River meander by from the Riverwalk at the Fish Liberation Ceremony & Bridgehouse Museum Opening, our 175 Days to Love Chicago pick for Friday, May 11.